...and SAP CX Live Day One is over! It was an exciting first day in Barcelona, Spain, as our team hit the ground running for one of the largest events of the year. As a platinum sponsor, we were busy with our booth, as well as our speaking slot with our customer, System Ceramics! Our booth at G7. We're still there, come look for us! 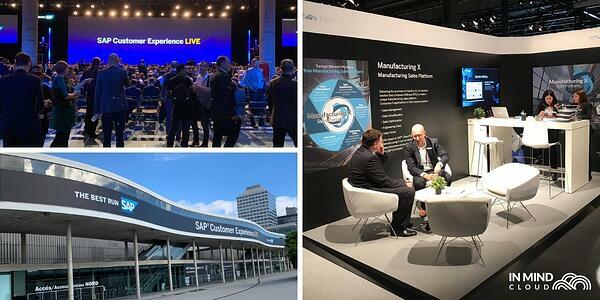 SAP Customer Experience LIVE started off with a bang, with over 50,000 square feet of exhibition space taken up by booths, including our very own booth at G7. We had a great time speaking to visitors and participants about our brand new Manufacturing X Sales platform, and our team couldn't hold back their excitement at our Manufacturing X module brochures, which were given to visitors. 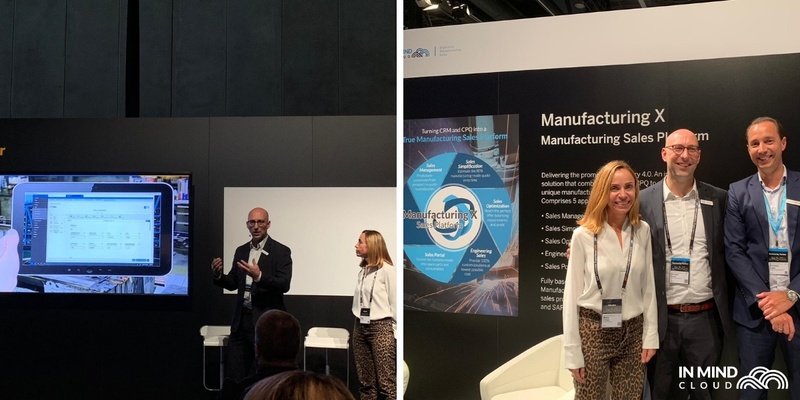 Our Senior Regional Sales Manager (EMEA), Mr. Michael Bucko, also took the stage at Hall 8.1, the SAP Sales Cloud Experience Area: SAP Sales Cloud Theater in a talk titled "Join Industry 4.0 with a manufacturing sales platform". He wasn't alone, as our customer, Ms. Maria Ortega Villanueva, CRM Leader for System Ceramics, joined him to discuss System Ceramics' experience with our manufacturing sales platform. System Ceramics is an international company that designs and implements production process solutions for the ceramic industry. They use a multidisciplinary approach that embraces precision mechanics, electronics, information technology, physics and chemistry. In this business, sales was decoupled from production, which made it tough to improve productivity, as everything wasn't easily visible and transparent. There was a need to improve customer experience, profitably, and create the 80% manufacturing-ready quote, quickly and accurately. Ms. Villanueva also spoke about our visual and guided selling capabilities, as well as pricing simulation and the ability to leverage past quotes, providing efficient sales models which would help to improve customer experience while improving processes, and in the end, profitability. We're still at SAP CX Live; click on the button below to see our other speaking slots!